This programme brings women together early in the journey to motherhood, offering opportunities to socialise with other mothers (and mothers-to-be), while fostering participants’ self confidence, creativity, and the bond between mother and (unborn) child. In the process, the participants learn a great deal about the design process, and significant skills of creating with textiles. The programme is 4 2-hour sessions. They typically occur the first full week each month. The series is £160. Free and reduced price spaces are available based on need and/or referral. Booking to single sessions is limited to last minute availability. Necessary tools and fabric are available for use, though a wider selection is available for purchase, as are kits of supplies to keep. Booking is essential. Babies are welcome. Sessions missed due to the arrival of baby can be made up. Enquiries from the non pregnant also welcome, groups making gifts etc are held on ad hoc basis. This cool bib is easy to make, clean, and personalise. 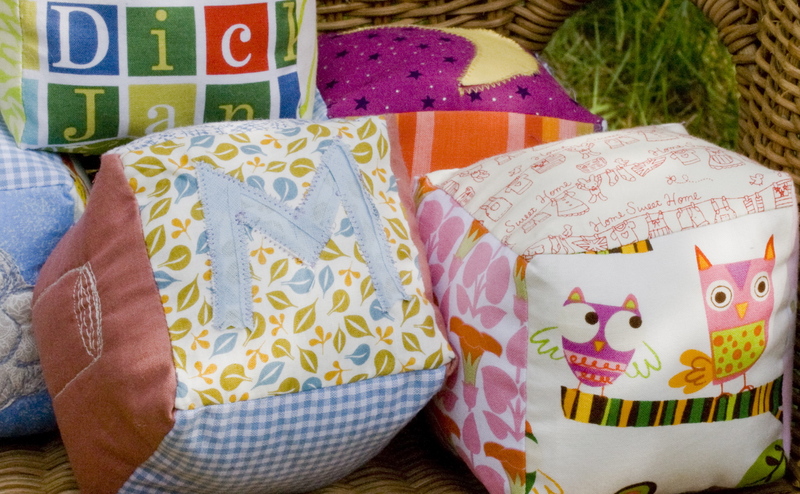 Mamas will pick fab fabrics, make their own patterns, and be well prepared for drool, weaning, and the like! Fun soft play blocks to stimulate baby’s budding brain made by mama, to the theme of her choosing! Techniques learned include assembly, applique, and free motion embroidery. A support pillow with a difference: choose from a banana, caterpillar, or “cow jumped over the moon” design and make your own breastfeeding pillow. It also makes a great prop for baby as he or she learns to sit. A special blanket imbued with mother’s love, hopes, and ideas. Meanings and how to of traditional blocks, and skills for complete self expression will be covered. 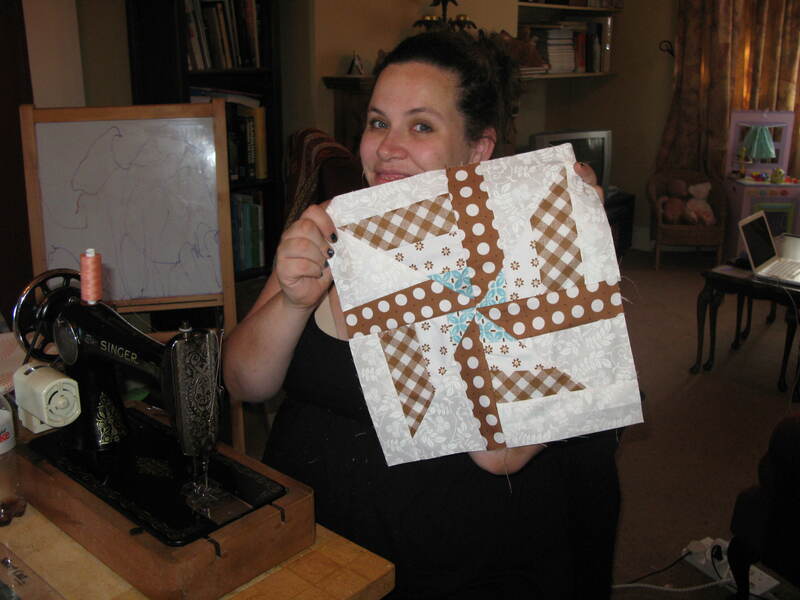 We’ll learn jelly roll techniques, some traditional blocks, and paper piecing if appropriate to participants quilt designs. Skills learned to date, especially applique and free motion work will be incorporated. These popular sleeping bags are relatively easy to make, and the process helps us learn pattern reading, cutting, and basic baby clothing construction. There is opportunity to practice our applique and embroidery techniques too.